"Both players have strong complementary CSP product portfolio capabilities." Earlier this month, Ericsson and Cisco announced a global strategic partnership to provide end-to-end CSP product and service offerings to accelerate digital transformation amid a rapidly shifting telecom market and rising competition from Huawei, Nokia and others for emerging 5G, cloud and IoT markets. As reported by Reseller News, the partnership, which comprises a joint SDN/NFV strategy, makes sense. Both players have strong complementary CSP product portfolio capabilities. The move will support Ericsson’s endeavour to further leverage its footprint in the connected society business, which requires strong expertise in respective enterprise industry verticals. Cisco will benefit from Ericsson’s leadership position in the wireless networking, as well as and traditional operations support systems and strong professional global services capabilities that enable CSP transformations. Rising market pressure urged both players to take actions in order to deliver fast results through the delivery of end-to-end capabilities in mobility, networking, routing, data centre, cloud management and control. The partnership is an alternative to a merger, which would have been disruptive for the operations of the company’s daily business, and this path would have taken long to show desired results. Instead both companies have developed a firm strategy to co-invest in joint R&D product development and engineering, joint sales and go-to-marketing across their entire business. Both companies have put in place CEO-led governance to ensure the execution of the strategy in place. 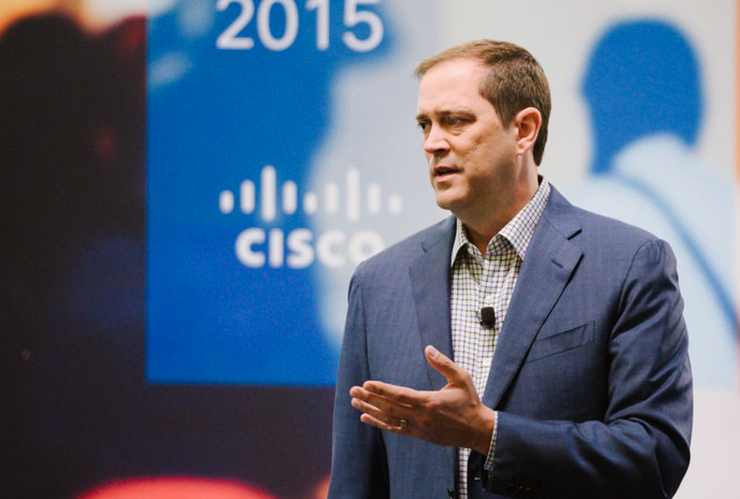 The first stage of the partnership will focus on reselling Cisco’s networking products into CSPs, global services partner agreements and joint cloud and 5G architecture customer engagements. Both companies are also planning joint product development and go-to market for SDN/NFV amid a rapidly shifting telecom market and the need for virtualised and software-defined network infrastructures. Ericsson and Cisco both are end-to-end SDN/NFV solution companies, yet with complementary strength: Cisco with Enterprise focus and InterCloud, Ericsson with its VoLTE IMS architecture and Cloud framework as well as OSS orchestration assets. Ericsson and Cisco are working on a common architectural blueprint for a new end-to-end SDN/NFV network and E2E orchestration value chain leveraging respective core strength. The new collaboration might be disruptive to the current SDN/NFV vendor market, because it potentially will result in a new end-to-end SDN/NFV network, software and services ecosystem. The foundation is already laid out: Ericsson is providing strong wireless network and traditional OSS domain management knowledge, while Cisco addresses vital next-generation IP, cloud and data centre and enterprise requirements. Capabilities for both, legacy network and OSS as well as new virtualisation and data centre capabilities will be critical, as we will see interim hybrid CSP architectures before CSPs will move over to pure SDN/NFV infrastructures over the next 5-10 years. In terms of interoperability, both players have standardised and collaborated on NETCONF and YANG standards initiatives previously, which will provide a strong common denominator for the formation of a new ecosystem and the strategic go-to-market partnership on the SDN/NFV front. However, the market might not be ready yet to adopt full fletched end-to-end SDN/NFV solutions, instead continuing in its best-of-breed sourcing mode (except greenfield CSPs like DT Croatia).